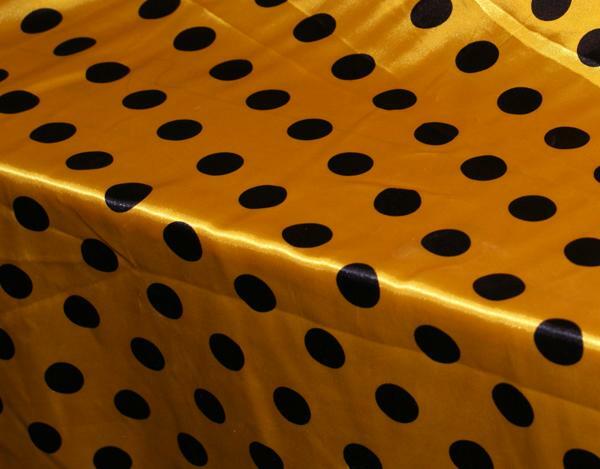 Yellow and Black Dotty Material. 2.5m will cover a 6ft table. Yellow and Black Dotty Material. Thisis a 2.5m cut that will cover a 6ft table. Makes a bold statement and can be seen from quite a distance.